We are happy to establish a Samsung Partnership to bring you some of the most affordable offerings from Samsung. 5) Fast Wireless Charging: Avoid the wires and power up quickly by placing your phone on a Fast Wireless Charger. 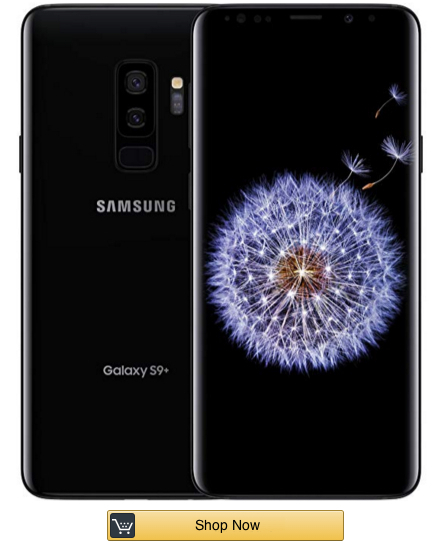 The sleek Samsung Galaxy S9+ has updated hardware over its predecessors, headlined by a dual camera, a more powerful Qualcomm Snapdragon 845 chipset, and 6 GB of RAM (50% more than the Samsung Galaxy S8+). Samsung's latest range-topping phone also brings stereo speakers for the first time in the Galaxy family. Design-wise, the Galaxy S9+ looks a whole lot like the model it replaces. Its front is dominated by a slightly curved, 6.2-inch Infinity display. The dual camera and the new location of the fingerprint sensor on the back are telling signs that this is Samsung's latest phone. The dual camera of the device is quite possibly the best in its class. It consists of a 12 MP main sensor with variable aperture (f/1.5 or f/2.4) and a secondary 12 MP snapper with a zoom lens. Both sensors have optical image stabilization. Like all top-shelf phones from Samsung, the Galaxy S9+ has wireless charging, expandable memory, a waterproof body, and a standard audio jack. The phone comes bundled with a nice pair of wired earbuds by AKG.